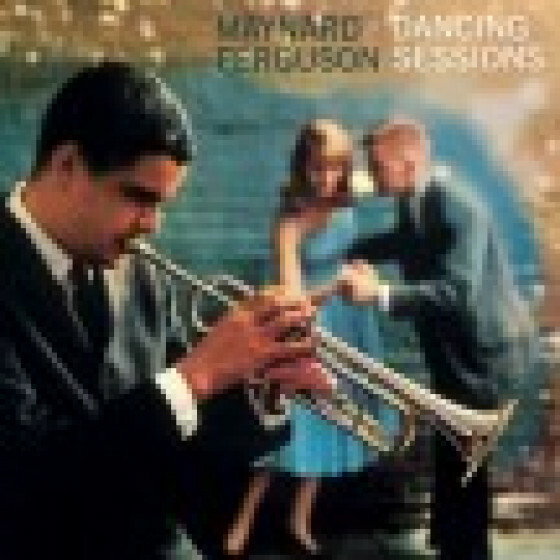 This release contains the complete contents of the original Maynard Ferguson big band LPs Plays Jazz for Dancing (1959) and Lets Face the Music and Dance(1960), plus three rare bonus tracks taken from the same sessions and previously issued as singles or on compilation albums. 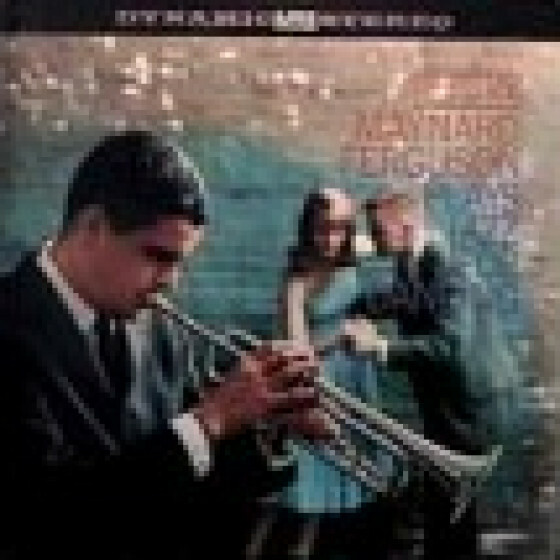 The two albums presented here, come from the zenith of this orchestra and present Maynard Ferguson's vision of dance music at a time in which dancing and Jazz were undergoing serious decline. By 1950, Swing music seemed a thing of the past. Modern Jazz focused on small formats or big orchestral scores which targeted concert halls as opposed to dancing establishments. Most of the dance scene had been taken over by Rock & Roll and R&B bands. 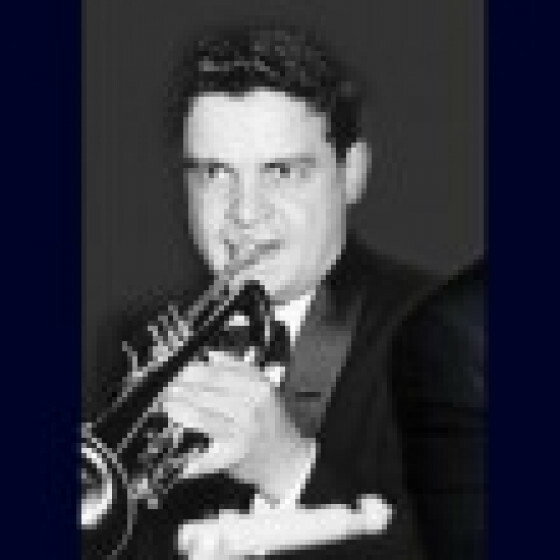 The great Canadian-born trumpeter Maynard Ferguson died in California on August 23, 2006, at the age of 78. His career had spanned over 60 years. 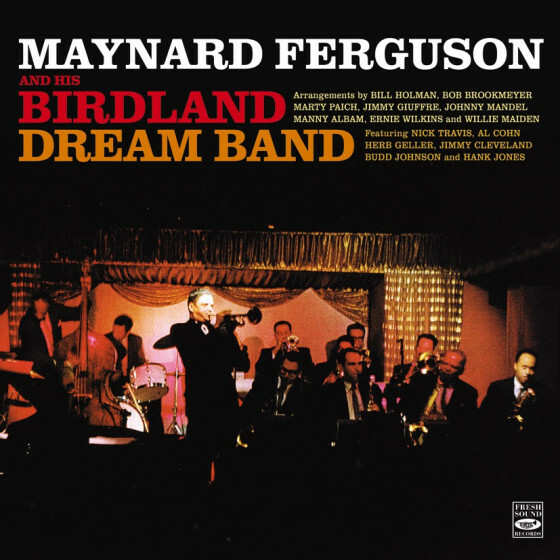 He formed his own 14-piece band in 1956, and as it starred at the famous Birdland club in New York, it picked up the moniker the Birdland Dream Band - which remained active for nearly nine years, during an era in which most big bands saw very difficult times due to the change of times and musical styles. Tracks #1-11 & #24-26 from "Plays Jazz For Dancing" (Roulette SR-52038). Tracks #12-23 from "Lets Face the Music and Dance" (Roulette S-52055). 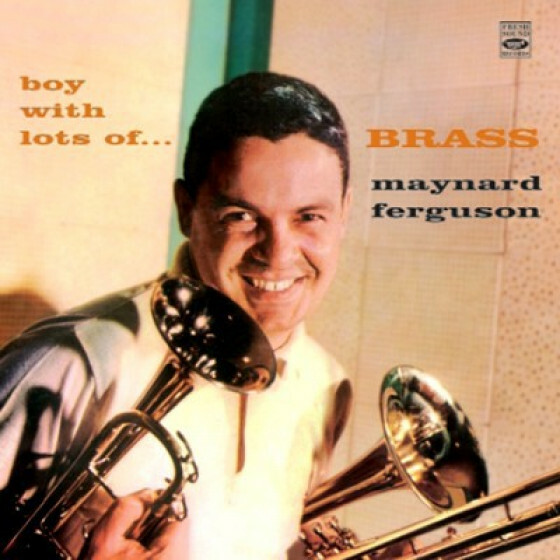 Personnel on "Plays Jazz For Dancing": Maynard Ferguson (tp, v-tb, euphonium), Don Ellis, Bill Chase, Larry Moser (tp), Don Sebesky (tb, b-tb), Slide Hampton (tb, tuba), Jimmy Ford (as), Willie Maiden (ts), John Lanni (bs), Bob Dogan (p), Jimmy Rowser (b) and Frankie Dunlop (d). Recorded in New York City, February-October 1959. 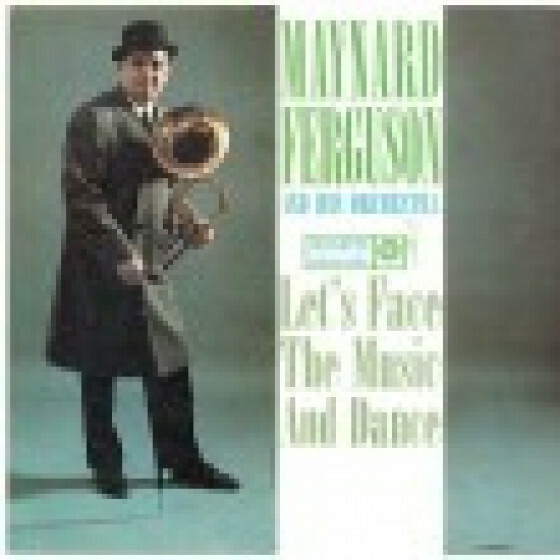 Personnel on "Lets Face the Music and Dance": Maynard Ferguson (tp, v-tb, mellophone), Chet Ferretti, Rick Kiefer, Jerry Tyree (tp), Slide Hampton, Kenny Rupp (tb), Lanny Morgan (as), Joe Farrell (ts, ss, cl), Willie Maiden (ts, cl), Frank Hittner (bs), Jaki Byard (p), Charlie Saunders (b) and Rufus Jones (d). Recorded in New York City, October 11-14, 1960. 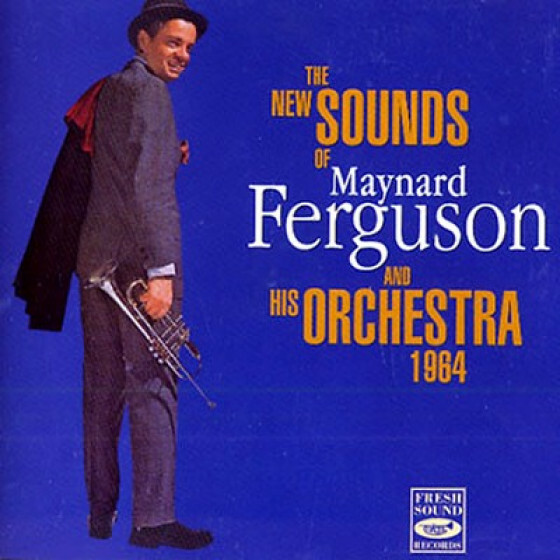 "Great recordings of standards by the legendary Maynard Ferguson Orchestra circa 1959-60. 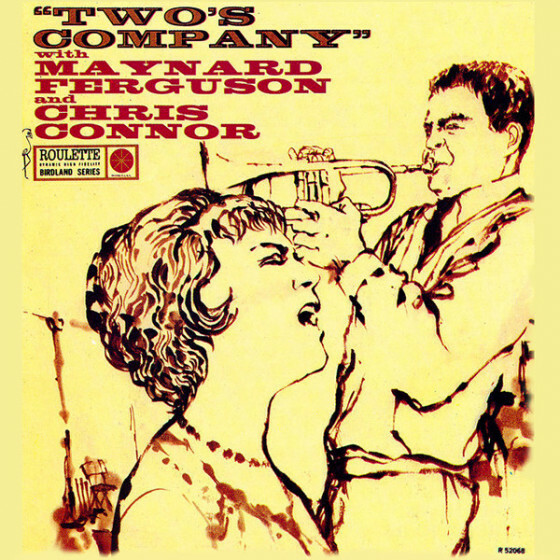 While the title says "Dancing Sessions," Ferguson delivers with the punch of his pocket-sized big band to satisfy any jazz fan. My favorite track on both albums is the ballad 'It Might As Well Be Spring' which showcases Maynard's lyricism in all registers. Highly recommend this recording!" "The Ferguson 13 piece band played at many college dances during the late 50's and early '60's. This album is representative of their tune book during that period. A number of dates make up the album which was recorded between February 1959 and October 1960. [...] While this album does not show the bands most exciting moments it is a nice change of pace."